Your heart almost bursts of joy and your stomach is filled with butterflies when you think about the love of your life? Let everyone be a part of your great love and show how beautiful life can be if shared with the right person! Express how deeply you are in love with the help of the lettering balloons and let the little messages of love float over the heads of everyone. 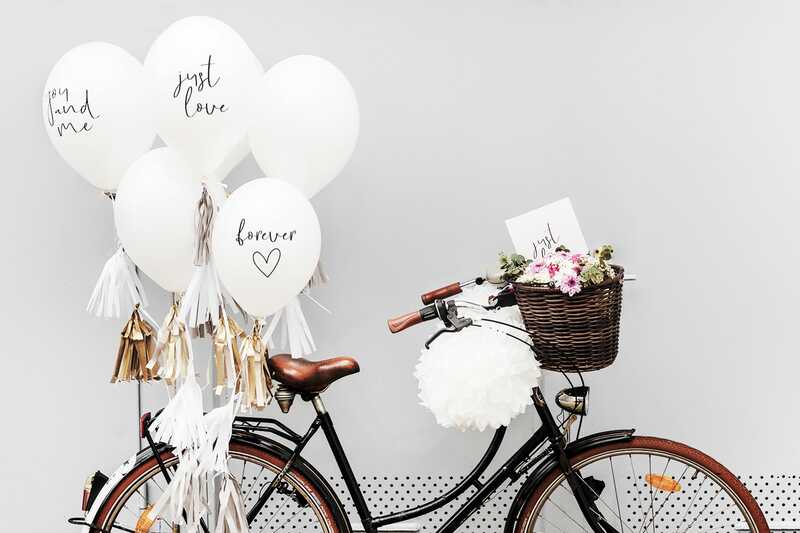 The Balloons „Just Love“, „You & Me“ and „Forever & Always“ are a lovely eyecatcher at your next garden party, a stylish gesture for your anniversary or the most romantic addition to a candlelit proposal! The Balloons „Mr.“ and „Mrs.“ highlight and decorate the table of the bride and groom on the day of the wedding and make sure everyone knows where the most important people of the day are seated. 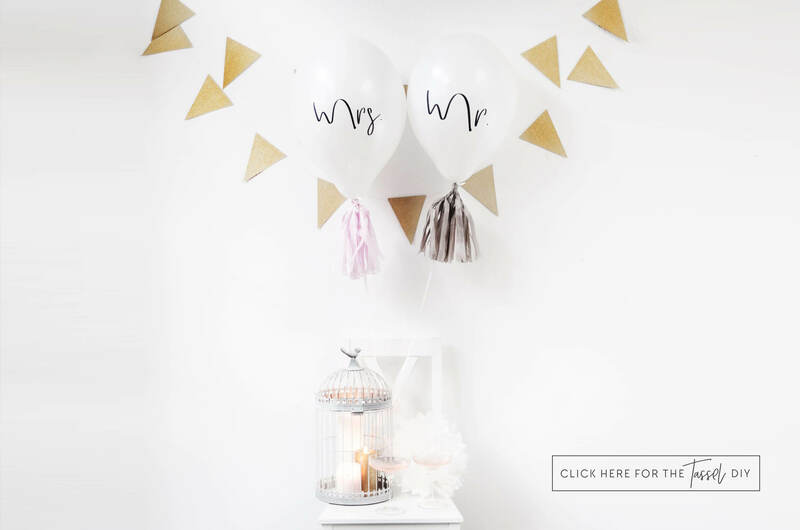 To make these gorgeous balloons stand out even more, we are showing you how to add some fancy tassels to them here! They are easy and super quick to make and they'll bring the wow-factor to along with them. 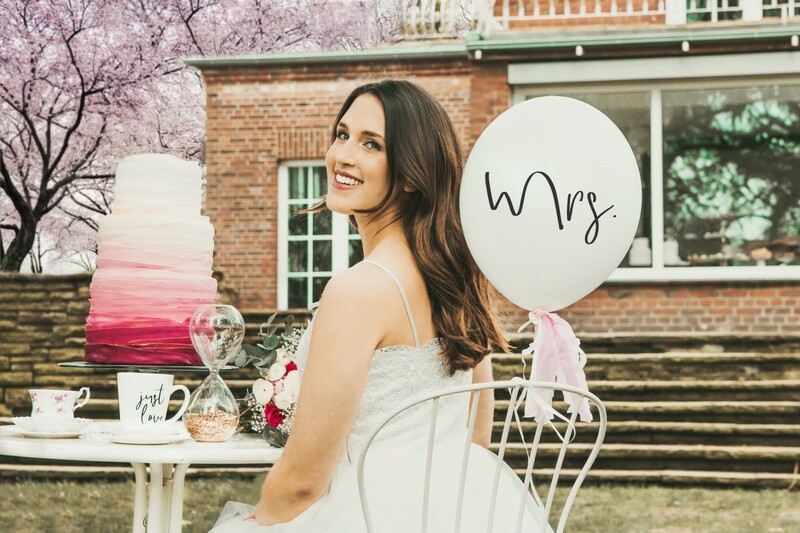 If you are currently in the middle of planning your wedding, you might have already had a few beverages today - either coffee to keep you awake and sane or some tea to calm your nerves. But while everything around you is hectic and causing you stress, make sure not to forget why you are doing all of this: For the most perfect day of your life and to celebrate your unique love. 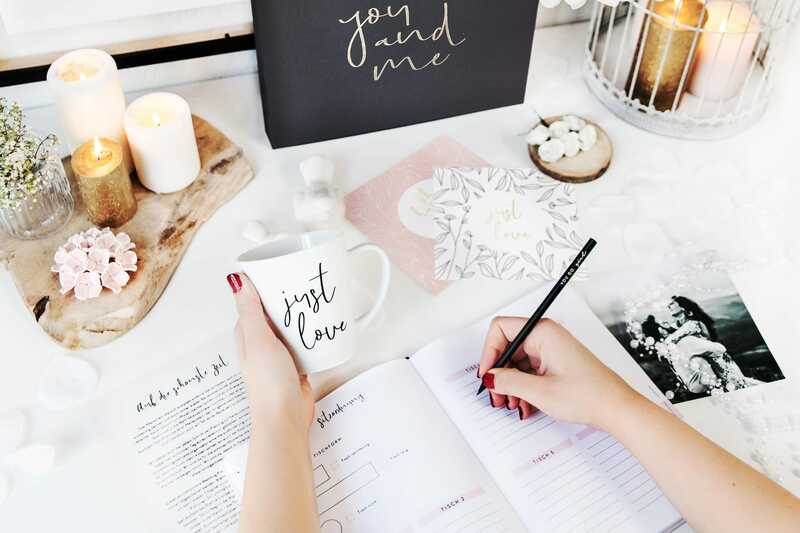 The lettering cup “Just Love” brings your feet back on the ground and your head on cloud 9. You don't necessarily need to be planning a wedding to spend some relaxing time with your favorite hot beverage in a gorgeously designed cup. Every day, no matter how stressful, rainy or simply ordinary, deserves to be made a bit more beautiful.